On September 23rd, 2008 it was a wonderful day. I delivered my beautiful baby girl after only 2 hours of labor with only one push. I was worried though because I had no time for antibiotics to get into my system. After a couple of hours the doctor did routine blood work and her blood work came back looking too high. He came back a couple of hours later after doing blood work again and said she was fine as the numbers were going down. No further testing or any meds was done. After 3 days in the hospital due to jaundice we went home. I had the best 8 weeks of my life, taking care of my toddler and newborn! Life was great! 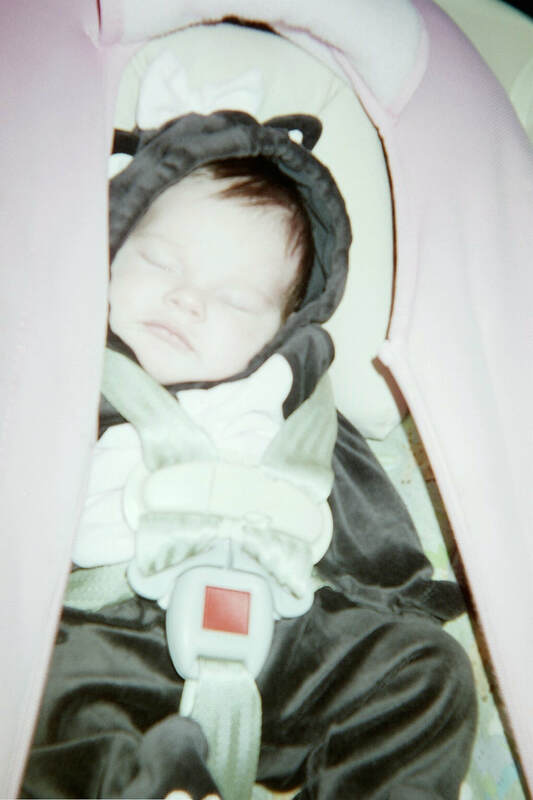 On November 18th, 2008 we had gone to the movie store and rented some movies and when we got home Krista was sleeping so I left her in her carseat and put it next to the bed where we were watching movies. At about 1:45pm Krista woke up crying. I immediately told my husband to turn down the tv as something was wrong. I picked her up and tried to breastfeed her because she hadn't eaten very much all day. This wasn't a normal cry at all. It was different! I kept trying to feed her and she wouldn't eat. I took her to the ER about 2pm where we sat for 1 1/2 hours in the waiting room before being sent to the back for about another hour in an exam room. The whole time she was whimpering and wouldn't open her eyes and wouldn't eat! They thought she was colic! The doctor looked at her for a minute and ordered an abdominal x-ray and blood work. After the x-ray came back good they were confused. In the meantime, we could not get blood and could not start an IV--even on her head! She still wouldn't eat. I finally made a nurse stay in the room with me so I could show her how she was not eating and then panic! She got the doctor and he ordered a spinal tap. They made me leave the room because I was already crying horribly! If I had known I would have stayed! After I left the room the doctors rolled her on her side to begin the procedure but before they could begin she went into respiratory arrest. They rolled her back and began to help her breathe when she went into cardiac arrest. After an hour of CPR they came and got me and let me see her and give them the final say to stop CPR. After an autopsy we found out that it was meningitis brought on by group B strep. Everything was fine one second and she was gone the next. My world forever changed! Miss you princess! Luv you! Jana is telling her story, blogging, and still trying to find new ways everyday to tell her story.